Tim Lawn has spent all 28 years of his legal career in complex civil litigation. 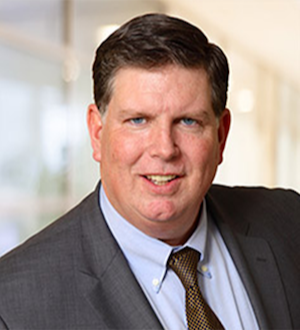 After spending the first 7 years of his career representing physicians in malpractice cases, Tim “switched sides” and has devoted the past 20 plus years to representing folks who have suffered serious injuries or death as a result of the wrongful acts of others. He has secured multi- million dollar verdicts and settlements throughout the Commonwealth for clients injured or killed by medical malpractice, defective products, motor vehicle accidents, and workplace injuries. Some of his more recent results include a $23 million jury verdict in a Philadelphia medical malpractice case; a $10 million settlement for a Montgomery County child injured at birth by improper obstetrical care; a $9.7 million arbitration verdict for a York County child seriously injured by a delay in diagnosing bacterial meningitis; a $7.5 million dollar jury verdict for a mentally challenged Bucks County man injured by improper medical care in a hospital; a $5 million settlement for a painter who suffered electrical burns at a worksite in Lancaster County, a $2 million malpractice verdict in Lehigh County for a client injured during sinus surgery, and several multi-million dollar settlements in cases arising from trucking accidents. Tim has been repeatedly voted as a Top 100 Pennsylvania SuperLawyer. He is a Fellow of the American College of Trial Lawyers, whose membership is by invitation only, and extended to the top one percent of trial lawyers who have demonstrated exceptional courtroom skill and whose professional careers have been marked by the highest standards of professionalism and ethics. He is a member of The American Board of Trial Advocates, another national legal society whose membership is limited to civil trial lawyers recognized for their courtroom skill and civility. Tim served as President of the Eastern Pennsylvania ABOTA Chapter in 2013. Recognized as an excellent teacher of courtroom advocacy skills, Tim is frequently asked to speak at continuing legal education seminars. He is an Instructor with the National Institute of Trial Advocacy and spent ten years teaching Advanced Trial Advocacy at Beasley Law School of Temple University.